Due to the current economic challenges in many students’ homes, many teachers in Los Angeles schools are using their own income to bring supplies to the classroom. 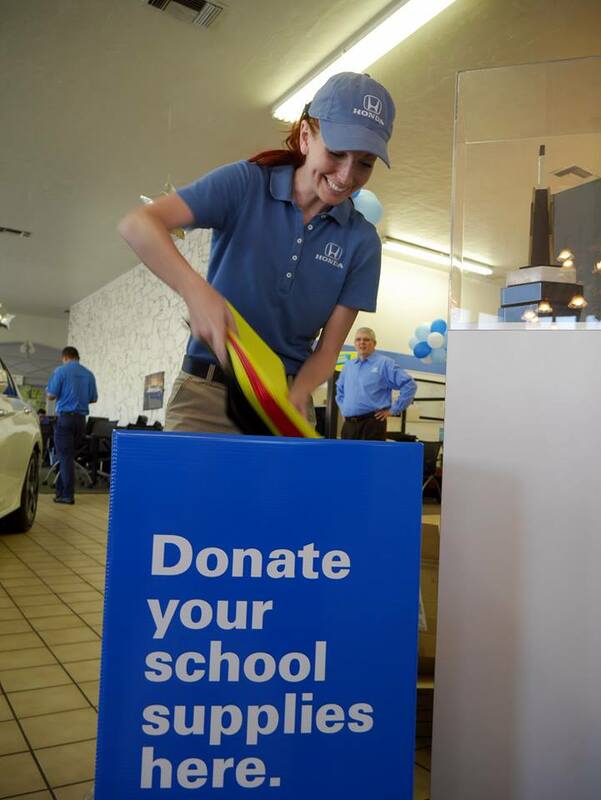 They would rather have money come out of their pockets than to see a child be without any crayons during “color time.” You can help support both our teachers and our students this year by donating school supplies to our dealership. Now through Labor Day (September 1st, 2014), we are hosting a school supply drive to help local schools in need. Come visit us at 5850 W Centinela Ave Los Angeles 90045 and drop off your school supplies in our bins. Supplies can range from anything to highlighters, children’s scissors, Sharpie markers, Avery glue sticks, Avery glue bottles, wide-ruled composition notebooks, boxes of Crayola Crayons, Crayola Markers, Avery shipping labels, copy paper, tissues, baby wipes, number 2 pencils, and pencil sharpeners children can use at their desks. If you’re in the market for a new or used Honda and want to check out our selection, don’t forget to bring some notebook paper or colored pencils with you! The teachers and students of Los Angeles, as well as Airport Marina Honda, will be very grateful for your donation!